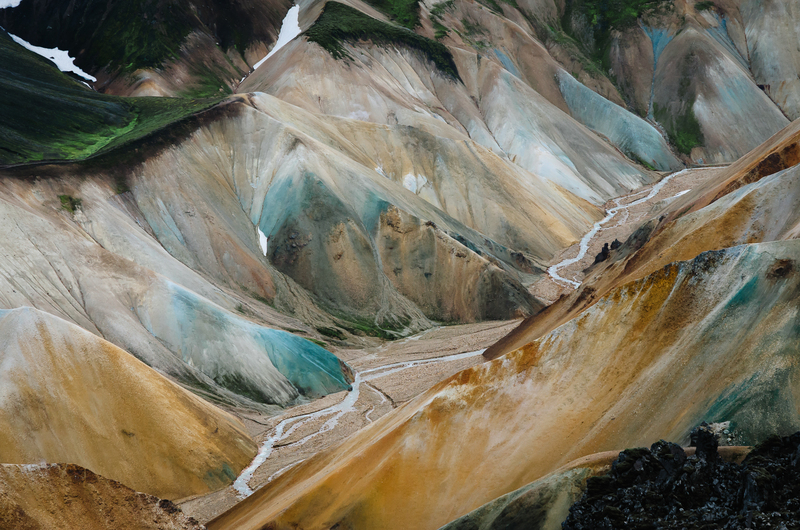 Landmannalaugar is one of the most beautiful places on the planet. 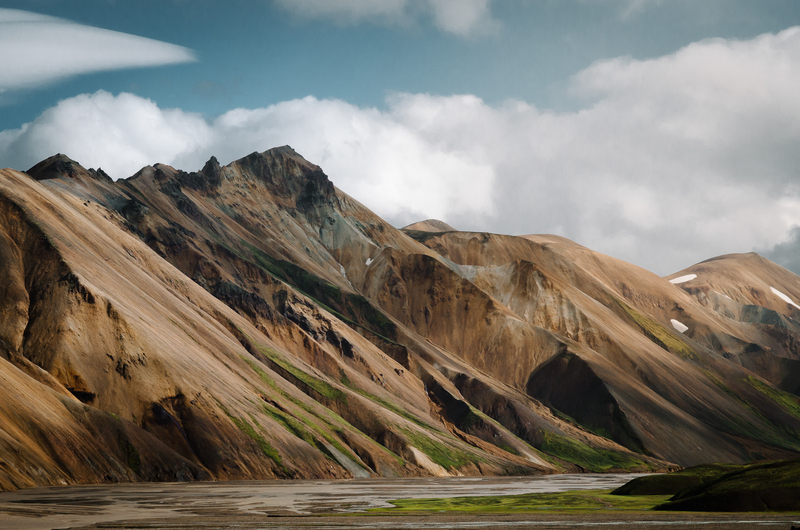 The journey to arrive in Landmannalaugar is as exciting as the hike through the mountains. 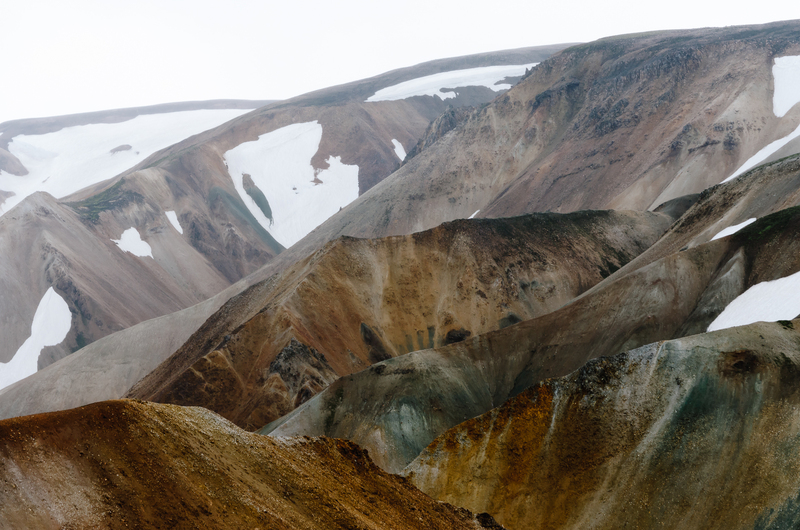 Shaken up after a bumpy road and a moonlike landscape you will arrive at Landmannalaugar and see amazing multicolored mountains and hot springs. Personally this was one of the best days of our 2-week visit to Iceland. 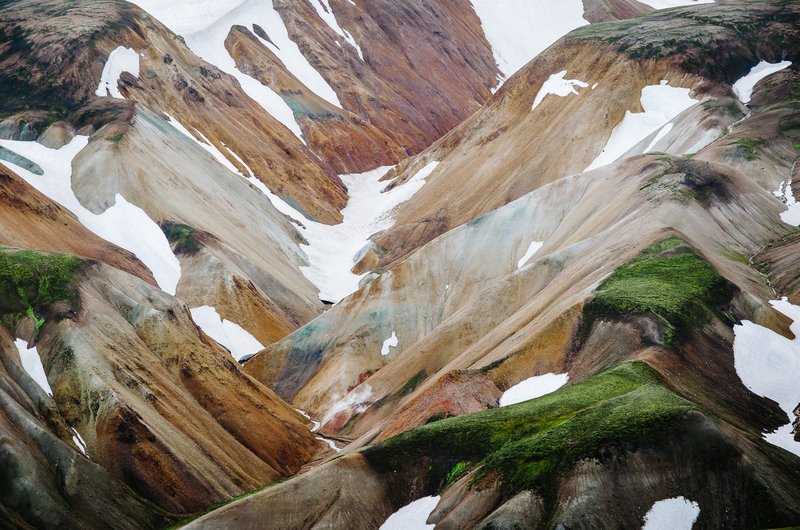 Landmannalaugar is positioned in the Highlands of Iceland. You can see Iceland’s nature in the rawest form. The highlands are isolated in the sense that there are no services, accommodation or bridges. This means that you cannot reach Landmannalaugar with a regular car. You can reach it through the so called F-roads, mountain roads where you can only drive if you have a 4×4 car. During the road trip through the highlands you will not encounter many people. Driving over an unpaved road with nobody around is why it is adventurous and great to visit the Highlands! 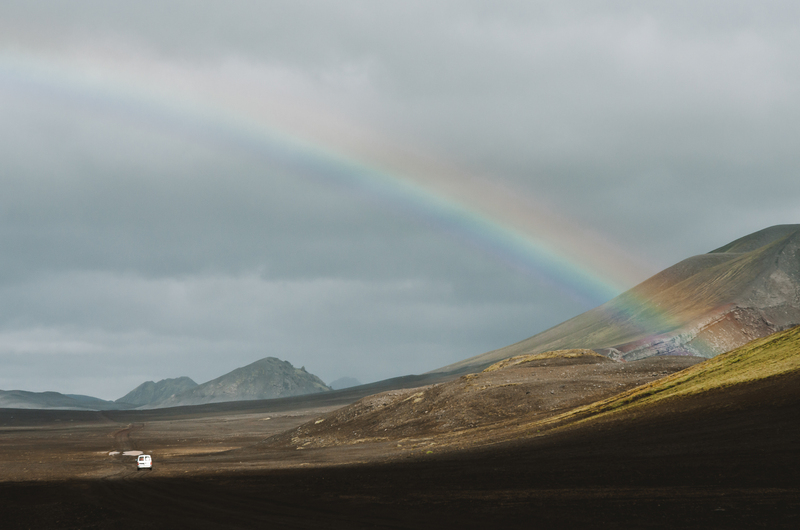 From late June to early September you can reach Landmannalaugar by Bus from Reykjavik or Skaftafell. In the low season many minor roads can be shut due to weather conditions. Make sure you check if the roads are open at www.road.is. 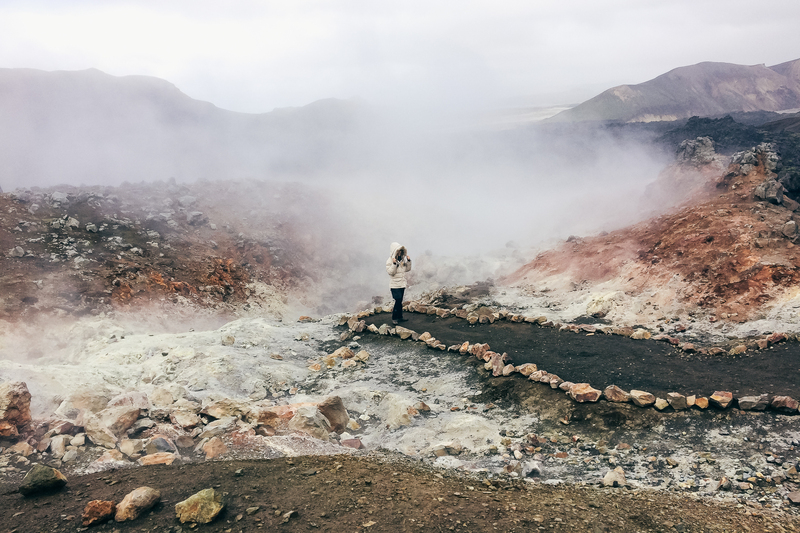 There is no petrol at Landmannalaugar so make sure you have a full tank! There are three routes to Landmannalaugar from the Ring Road. We took the easiest path to follow for small 4×4 cars. This is Route F208 down into Landmannalaugar from the North. The other F-roads contain river crossings. Because we had rented a cool but small Suzuki Jimney we did not want to risk any damage. The road is unpaved and horrible bumpy but the view is amazing. The first few minutes I was worried that we would break our rental car but soon I could enjoy the bumpy ride and be amazed by the moonlike landscape. At one moment we spotted a full rainbow. The unpaved road of the F208 followed by the F224 was approximately 27km. 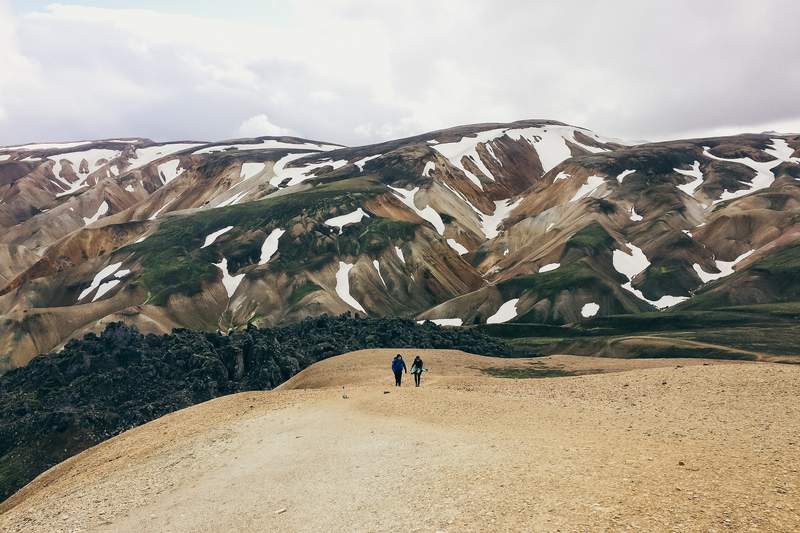 It took us around one hour to arrive at Landmannalaugar. If you have a small 4×4 (like us) you can leave your car 1km before Landmannalaugar. There is a river crossing that you can cross over a bridge by foot. Just right after you parked your car there is a wooden boardwalk leading you to a steaming river where you can bathe. So bring your swimsuit if you are up to it! If you are planning to make a one day hike you can buy a day-trip map (ISK 300 = 2.12Euro) with several hiking routes.The routes range from 4 km (1,5 -2 hours) to 17 km (6-9 hours). We took the Brennisteinsalde route of 6.5 km. Because we took photos around every corner it took us 4 hours to complete the route. The Brennisteinsalde route consists of unforgettable views. We were surrounded with amazing colors. The amazing colors are caused by lava that is cooled unusually slow. I think we have spotted all possible colors during this hike. During the hike there is one spot where you are at the top of the mountain Brennisteinsalda. From here you’ll have a 360 degrees view over the area. It is the perfect place to rest and enjoy this place. We are still wondering if there is a connection between this mountain and the song ‘Brennistein’ by Sigur Rós. When you go down from the mountain back to car then you will pass a hot spring, lava fields and copper green mountains. In my opinion Landmannalaugar is a place you cannot miss if you are in Iceland. I would love to go back and walk all the other hiking routes! So, if you travel to Iceland make sure you won’t miss this place! If you have already been at Landmannalaugr don’t hesitate to share your photos or experiences with us! Stay tuned for new blog posts about Iceland.